The PlayStation 4 is built to last, so don't expect the next batch of consoles to come any quicker than this generation did. The PlayStation 3's life cycle was pretty long, as far these things go. While some companies have claimed that we should be moving back towards shorter console cycles, the engineers at Sony don't appear to buy into that theory. The PS4 is in this for the long run: Mark Cerny, the system architect of the PlayStation 4, knows the hardware better than anyone and he expects it to stick around for a while. "It looks pretty healthy to me," Cerny said regarding the PS4's potential longevity. "The PS4 cycle will be pretty much like the PS3 cycle." The shorter console cycles of the past were necessary due to the challenges of bringing new capabilities to customers - when you bought a PS1, that was the machine you'd be using until the PS2 came out. Now, with downloadable firmware updates and lucrative digital markets, a console can survive for as long as its hardware can perform. And as far as hardware goes, Cerny has faith in the PS4. "The most important thing," he says, "is that it's the most powerful games console ever created." 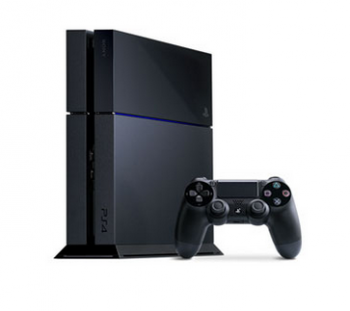 The PlayStation 4 will be launching this holiday season. As for whether it'll be going strong seven years from now, well, we'll have to wait and see.